This has been improved fundamentally. A Full-HD Frame optimised anaglyph takes less then a second, making it much more attractive to render anaglyph previews. Choose from and create new pixel-parallax presets to get the 3D just right. Get the best overview of how your depth is beeing distributed over the scene with a implemented ruler. Utilize the power of the stereoscopic player from 3dtv.org .View and adjust either your interactive viewport preview or the rendered results from within the Stereoscopic player offering you even MORE compositing types (e.g. quad-buffered opengl, nivision, iz3d). Adjust the ZPS even after you rendered! Just shift the images until the desired depth placement is reached, hit „sync“ and the rig will accomodate to your changes.You can also go the other way around and adjust the screenplane in the rig. The stereoscopic window will update even a rendered image. Sacrifice some interactive speed to get a non-grainy 3d viewport preview. Der Beitrag wurde am Montag, den 30. Juli 2012 um 17:36 Uhr veröffentlicht und wurde unter main abgelegt. Du kannst die Kommentare zu diesen Eintrag durch den RSS 2.0 Feed verfolgen. Kommentare sind derzeit geschlossen, aber Du kannst dennoch einen Trackback auf deiner Seite einrichten. actually,I need eight Camera more.please! Hi Alex. If you need eight cameras please contact sales@zerocreative.com .They are in charge of distributing a multiview camera based on this plugin. Working on many Stereo projects in the surgery room, used your previous camera rig. Would love to try this one as soon as possible. I’m a bit fan of your Stereo Hippy camera and am very excited to see that you are developing a version 2.0. I would love the opportunity to Beta test it if possible. HI,it’s me again.Can i set key with cemera distance? Hi David, sorry for my weak english, i will try my best. one thing a realy will like it’s the camera follow the link constraint in the 3ds max. because the last version do not. when i link with some helper and unlink and relink again in other helper, the link brokes. @Alex, sure you can animate the camera distance (called interaxial) all you want. @Leonardo: I haven’t tested that yet but I will make sure that it’s going to work with this release. Thanks for the info. I would welcome the chance to beta-test your stereo camera script. I have been using ‘the old one’ for some time and have used it on a couple of our productions. Hey David, looking forward for this new version. I’ll be glad to help you testing the new version. Feel free to send me some email. I am doing a PhD on stereoscopic filming. I will be doing actual film and 3d modeled footage as well. I would like to trial (and use) this plug in for this. I have some ideas I can forward in the future regarding design stuff for a physical rig (with new features) it would be great to have these new features in a virtual camera as well. If you like I will discuss these with you in time. haha, everyone started calling me Alex. I couldn’t let that happen and have changed the comments, hope that’s ok for you. @ Leonardo: Yes, the Link constraint does work. @ Bruce: Looking forward to hearing your ideas. I will send you a mail. Hi David, not Alex…hahaha sorry for that. That’s a great news!! !this feature will help a lot. thank you so much. We are exploring the world of S3D with a project underway already. I would love to check out the new features in your V2. Thanks for putting so much effort into your work. Where can we get a Beta version from to try out? I´m very much interested in your stereocam 2.0 plugin. We are developing autostereoscopic displays for two-view and multi-view applications and I am producing content for them. Thats why I am always scanning the net for all kinds of stereoscopic content and creation tools. So I will be happy if you send me a download link or a zip of your work. Thank you in advance! Really nice work David. I would really like to try out your tool, however Im abit busy lately. So I dont know how active I can be with feedback right now. I´m very much interested in your stereocam 2.0 plugin. I would love the opportunity to Beta test it if possible. I would like to test stereocam 2.0. Still waiting for a link to beta test version 2. Very excited to try. I have lectured some degree students on S3D using 1.6 and it was great so can’t wait to try v2. We are working on a project for cinema viewing, I can give feedback regarding how the stereo looks on Christie projectors. I would like to know If you tought to State Sets . 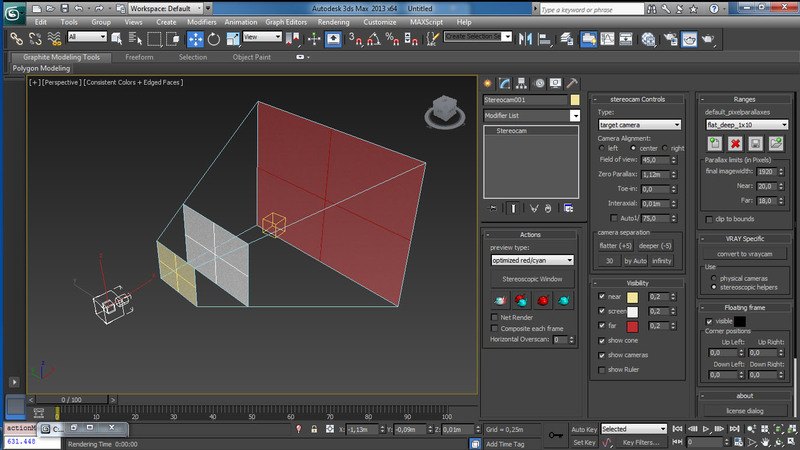 I full using this tool in 3dmax. (with After effect). i would like try it . or buy… soon ? I would like to be a beta tester,too.